Learn the true meaning of Christmas in this classic retelling with a Disney twist! Dive into a festive Christmas tale with Mickey and his friends! 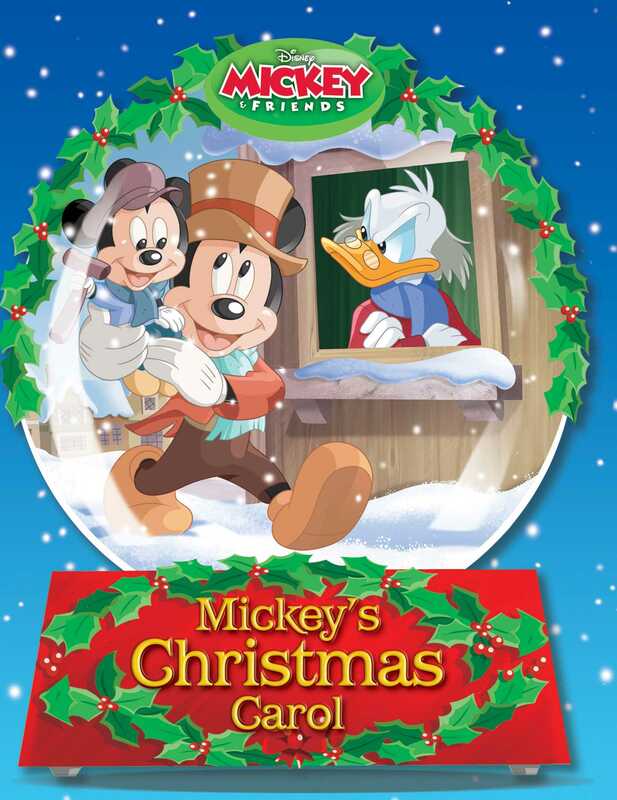 In this classic retelling with a Disney twist, learn the true meaning of Christmas alongside Scrooge McDuck, visit with the ghosts of Christmas past, present, and future, and watch as the die-cut acetate windows make the story come alive. Celebrate the holiday of friendship and generosity with Mickey, Donald, Goofy, Minnie, and all of your Disney favorites! John Loter began working as an artist for Disney Consumer Products in 1984. As Character Art Director, Loter worked on a variety of merchandise and was instrumental in standardizing the drawing style of Mickey & Friends across the company. Currently, Loter is a freelance artist contributing to product design and development, book illustration, animation, and game development for Disney and other clients. Loter has also developed original characters and worked as an independent creator. He lives in Los Angeles with his designer wife, Shelley, and their two sons.